Supriya Joshi aka Supaarwoman is a writer, comic and caped crusader battling the pointlessness of life, one meme at a time. Supaar covers a wide variety of topics from PCOD to why Govinda might actually be the second coming of Christ. 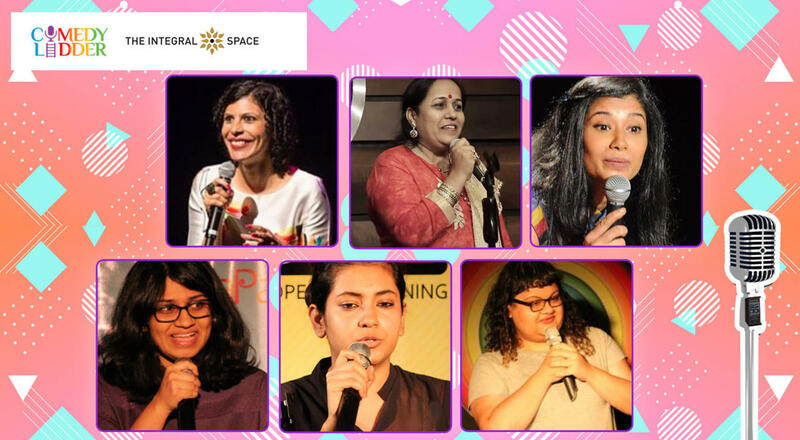 After killing is on Facebook, Twitter and Instagram, Supriya has found a new weapon of choice in the microphone and she is coming to a stage near you. Jeeya believes if you are fat once (by fat she means FAAAAT) you are fat forever, mentally you never become thin even after losing all the weight. An event manager turned stand-up comedian, improviser and actor, she has made entertainment her new life&apos;s mission since nothing else is going for her! Kruti is an upcoming standup comedian. Sumaira Shaikh is an upcoming standup comedian and has featured in several shows. Deepika Mahtre is an upcoming standup comedian and has featured in several shows.